The 25,000 sq ft Masset Hospital overlooking Masset Inlet will serve the communities of Old Massett, Masset and Port Clements. It will replace dilapidated existing facilities currently scattered around the villages in one facility. The local communities have structured a unique agreement whereby they will construct the facility and then lease it back to the provincial government in a public / public partnership. The architecture evokes the cultural context of the largely First Nations community. The facility is conceived as a healthy building using natural materials and wood construction to support the local island industries. Natural day lighting and views were guiding principles in the layout, with all public rooms facing southwest to the water. The facility is organized in distinct wings grouped around a central atrium waiting area. Programs include community health services, emergency services, diagnostic treatment and an inpatient wing with 8 patient rooms for acute and complex care. 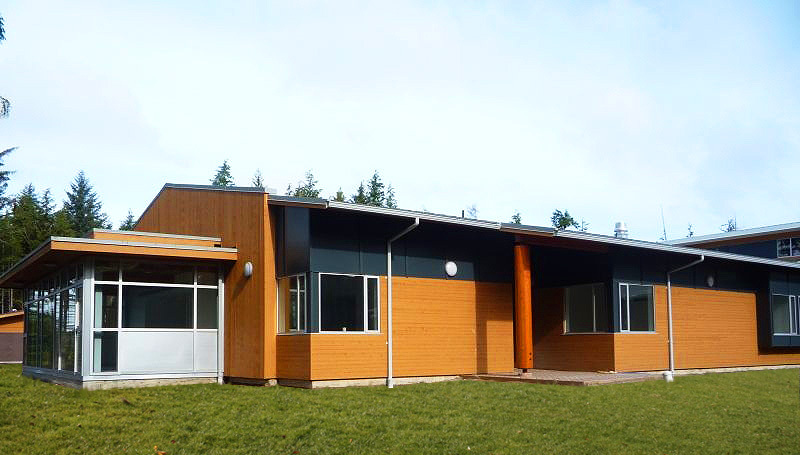 The building will be the health "community centre" for the north end of Graham Island in Haida Gwaii.